Whether you want an attractive sedan or a functional hatchback, the new 2019 Chevrolet Cruze is the right choice for those who want to enjoy a comfortable ride for driving in city traffic or cruising on the open road. 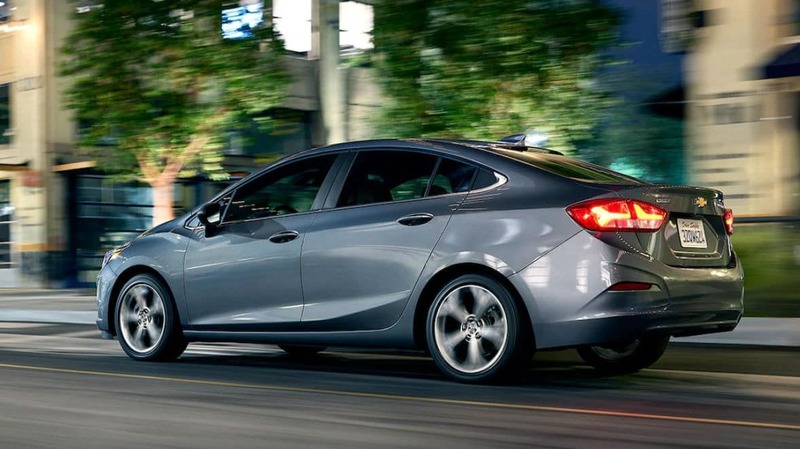 The 2019 Chevrolet Cruze gives you the choice between a turbocharged gas engine or a diesel engine, and you will appreciate its exceptional fuel efficiency. For all the tech enthusiasts, the 2019 Chevrolet Cruze has a generous list of improved tech features, including smartphone integration in its standard package. Other highlights of the Cruze include an attractive cabin and large cargo capacity, it’s perfectly clear that Chevrolet has done a great job with the 2019 Chevrolet Cruze. Call Ron Westphal Chevrolet today and schedule your test drive, we’ve made every effort to prepare excellent deals for all Chevy lovers from Oswego, IL and the surrounding area. The 2019 Chevrolet Cruze is a great compact car that offers a choice of two powertrains. Although it is agile and easy to maneuver in city traffic, the new Cruze is particularly capable at highway speed. Except for smooth handling and precise steering, the Cruze has strong brakes, is excellent absorbing unevenness on the road and delivers exceptional driving quality. The 2019 Chevrolet Cruze boasts one of the best fuel efficiencies in the class, especially with its diesel engine. 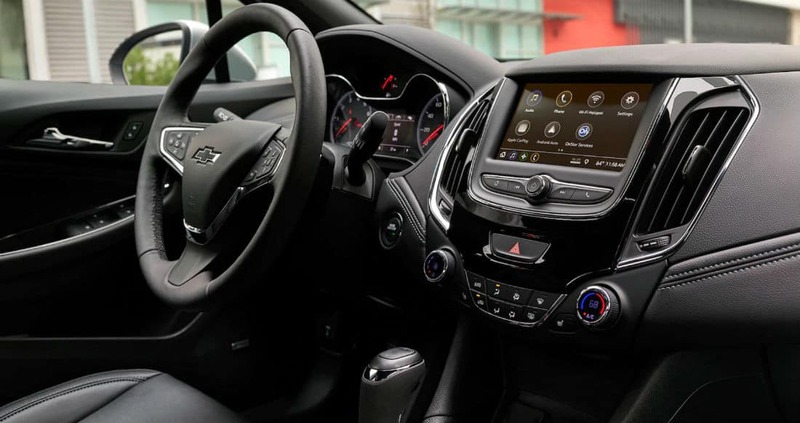 The 2019 Chevrolet Cruze comes with an impressive list of standard tech features, which includes a user-friendly infotainment system with responsive touch screen and smartphone integration that allows you to utilize many useful applications while you’re on the road. Chevrolet has recently revamped their tech offerings and the 2019 Chevrolet Cruze comes with rich tech equipment that will provide you with fun driving experience. 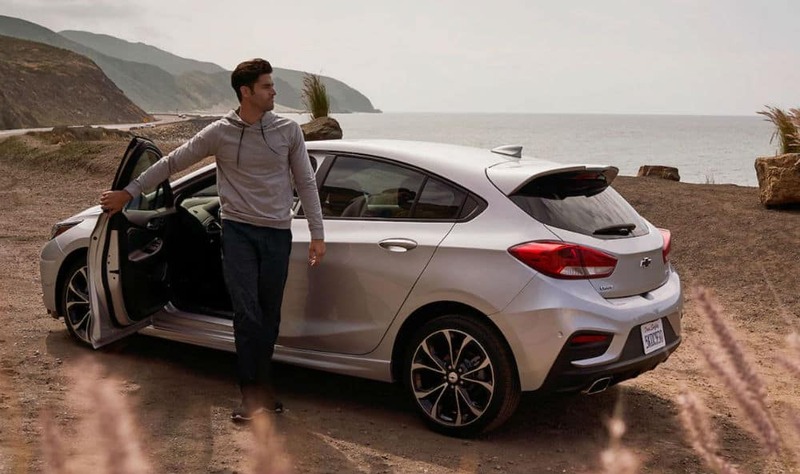 The 2019 Chevrolet Cruze comes with a multitude of safety and driver functions that provide the driver and passengers with a reliable and safe ride. It has earned high ratings from NHTSA and IIHS in crash tests. The 2019 Chevrolet Cruze comes with Chevrolet’s built-in Teen Driver Assist system which allows you to limit speed and volume to other drivers of your car, including a report on how it’s driven. The 2019 Chevrolet Cruze can accommodate 5 passengers and comes standard with cloth upholstery. Seats are supportive and provide comfortable driving with enough leg and headroom for driver and passengers. A modern and attractive interior is the first thing you will notice when get in the 2019 Chevrolet Cruze. 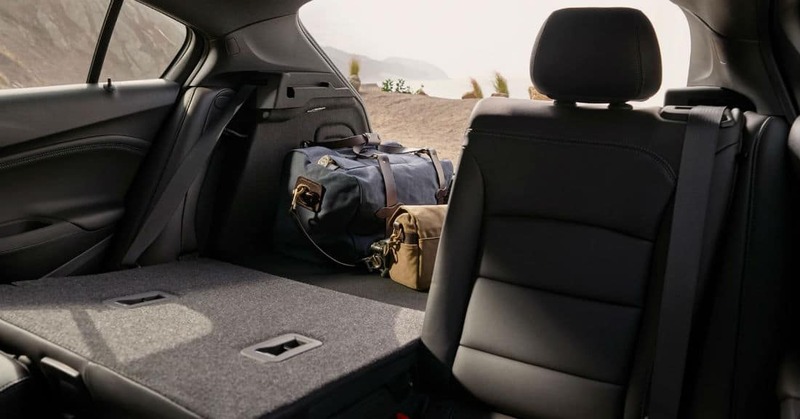 The well-designed cabin is full of quality including soft to touch materials and leaves the impression of quality.The 2019 Chevrolet Cruze comes with an above average cargo capacity in which you can accommodate enough luggage for a weekend break with your family. L – remote keyless entry, MyLink infotainment system, Apple CarPlay & Android Auto. LS – Remote start & Cruise control. LT – LED daytime running lights, Steering wheel audio control & Automatic climate control. Diesel – Push-button start, 9-speed automatic transmission, 8-way power driver’s seat & heated front seats. Premier – Leather-wrapped/ heated steering wheel, Turbocharged engine, 6-speed automatic transmission, upgraded rear suspension & advanced safety features. Ron Westphal Chevrolet understands the excitement of getting a new car so we make sure to have a wide selection of new and used Chevrolet, to meet every driver’s needs. Our low prices and excellent payment terms will help you become the proud owner of a new Chevrolet faster than you thought possible. Our team of financial experts is dedicated to finding the most convenient financing options for you, regardless of your credit rating, just visit Ron Westphal Chevrolet near Oswego, IL. 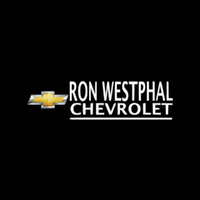 Ron Westphal Chevrolet is conveniently located near Oswego, IL, so that you can visit us today and take advantage of all the services offered by our experienced dealership.